We establish the action of three-dimensional bosonization and particle-vortex duality in the presence of a boundary, which supports a non-anomalous two-dimensional theory. We confirm our prescription using a microscopic realization of the duality in terms of a Euclidean lattice. W. Chen, M.P.A. Fisher and Y.-S. Wu, Mott transition in an anyon gas, Phys. Rev. B 48 (1993) 13749 [cond-mat/9301037] [INSPIRE]. 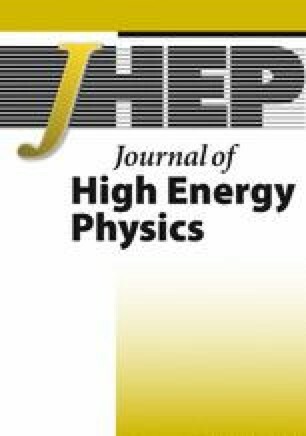 O. Aharony, G. Gur-Ari and R. Yacoby, d = 3 Bosonic Vector Models Coupled to Chern-Simons Gauge Theories, JHEP 03 (2012) 037 [arXiv:1110.4382] [INSPIRE]. N. Seiberg and E. Witten, Gapped Boundary Phases of Topological Insulators via Weak Coupling, PTEP 2016 (2016) 12C101 [arXiv:1602.04251] [INSPIRE]. M.A. Metlitski, S-duality of u(1) gauge theory with θ = π on non-orientable manifolds: Applications to topological insulators and superconductors, arXiv:1510.05663 [INSPIRE]. D.B. Kaplan, A method for simulating chiral fermions on the lattice, Phys. Lett. B 288 (1992) 342 [hep-lat/9206013] [INSPIRE]. M.F.L. Golterman, K. Jansen and D.B. Kaplan, Chern-Simons currents and chiral fermions on the lattice, Phys. Lett. B 301 (1993) 219 [hep-lat/9209003] [INSPIRE]. K. Jansen and M. Schmaltz, Critical momenta of lattice chiral fermions, Phys. Lett. B 296 (1992) 374 [hep-lat/9209002] [INSPIRE]. Y. Shamir, Chiral fermions from lattice boundaries, Nucl. Phys. B 406 (1993) 90 [hep-lat/9303005] [INSPIRE]. S. Sint, On the Schrödinger functional in QCD, Nucl. Phys. B 421 (1994) 135 [hep-lat/9312079] [INSPIRE]. 1.Department of PhysicsUniversity of WashingtonSeattleU.S.A. 2.School of Physics and Astronomy and STAG Research CentreUniversity of SouthamptonHighfieldU.K.